Sorry it's been awhile. 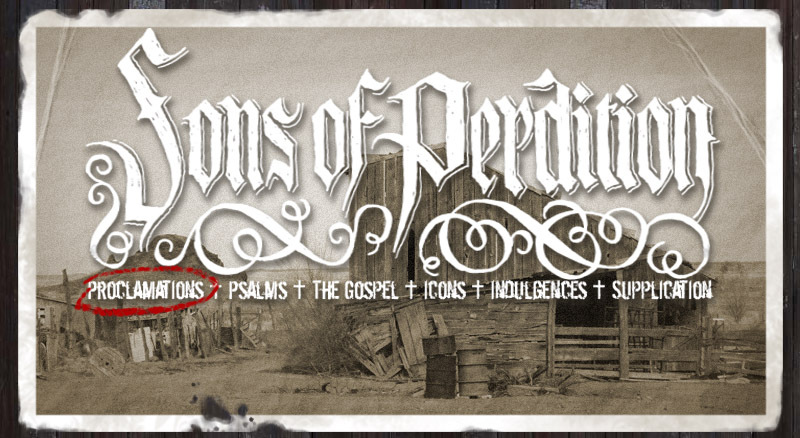 I've been toiling away under a rotting log, glomming together the next Sons of Perdition album. It's really coming along, albeit at the usual, painfully slow pace. If you're interested in hearing my progress, I'll be playing a few songs from it on the Smooth and Demented Show on October 25. If you're in Austin, you can tune in and listen (if you happen to know whatever the hell the station is - my memory is shot) or at the previous link, from 9:00PM to 11:00PM. For everyone else, I'll be posting the download link on this site afterwards. It will also be downloadable at Evil On My Mind . I see no sense in depriving my remote friends of the misery. It's just going to be me (as usual), so it's going to be stripped down and bordering on the unlistenable.